In this week’s Friday Finds, we’re going to take a look at some of the ways that you can beef up your social media strategy. With so many social media tools and tips available online, it can be overwhelming to find the best solutions for you. This week, I’m sharing resources where you can find: 100+ tips on social sharing, 30+ of the best social media monitoring tools for businesses, tips on improving your LinkedIn and Triberr strategies and recommendations for creating a powerful social media bio. You may have read some of these great articles already but (if you haven’t), you’ll want to. Have You Read this Epic Post of Social Media Tips? If you don’t already know Adam Connell from BloggingWizard.com, let me introduce you to him. In addition to his own blog, Adam has posted on sites including KISSmetrics, ProBlogger and SocialMediaExaminer. In his post, 100+ Bite-Sized Tips To Get You More Social Shares (And Traffic), he may have out-done himself. This is my must-read of the week. In addition to being online, Adam also has this available as a PDF download (sign up required). I found those five tools and twenty six more in 30 Best Social Media Monitoring Tools For Business by Stuart J. Davidson on StuartJDavidson.com There are lots of lists out there but of the 31 tools that Stuart listed, I was only familiar with 6 of them. So, you may find something new here to add to your arsenal. What do you think? How many of these tools are you familiar with? Which social media tools are your favorties? Okay. Even though I was in the midst of writing this week’s Friday Finds, I confess that I got distracted by Pluggio. (I really think I’m going to like it.) While I was exploring it, I did a quick search to see if I could find a helpful review on it and I did. What do you think? Are you going to give Pluggio a try? Up until today, I wasn’t familiar with Brian Smith but (while I was looking for new content to curate using the “Suggestions” feature in Buffer), I came upon his post Secret LinkedIn Strategies of a 10-Year Power User on Zapier.com and I was intrigued by what he had to say. Do You Have a Strategy for Triberr? Usually, I feature articles, videos and slide shares that have recently been published in this series but I’m making an exception this week. I want to share Ileane Smith’s YouTube video Reach Millions of People on Twitter with Triberr, Although this video was uploaded in September of 2013, her content is still relevant and hopefully some readers here will benefit from watching it. Do You Know How to Get a Large Thumbnail on Your Facebook Posts? Those of you who post to Facebook may wonder why some people have really large thumbnails (484 x 252 pixels display on a desktop and 560 x 292 on mobile) on their Facebook posts. If you want to know how you can do this, check out The Secret to Getting a Large Facebook Link Thumbnail by Louise Meyers on LouiseM.com. Lisa’s post also includes a link to her post on how to fix missing link thumbnails on Facebook too. How Powerful is Your Social Media Bio? Had you read Adam Connell’s 100+ tips? Did you discover any new social media management tools or get any new ideas for engaging on LinkedIn? Are you on Triberr? 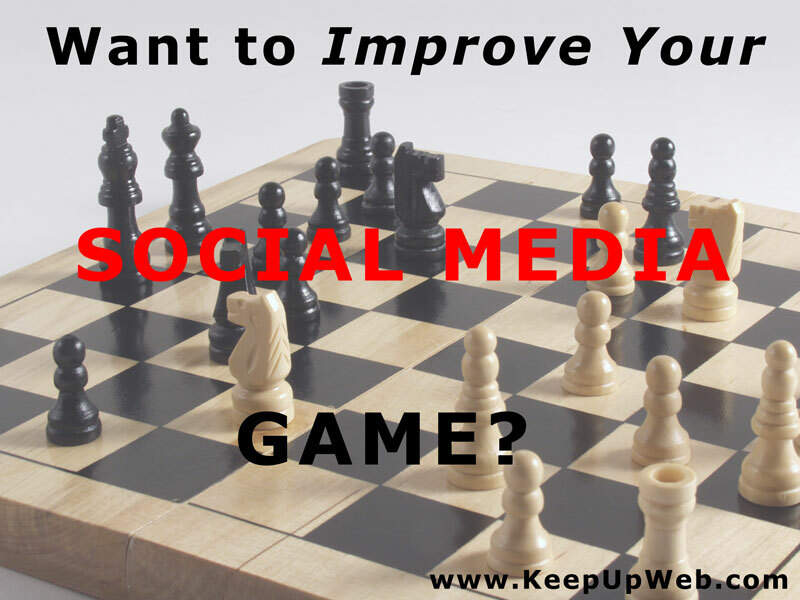 Have you beefed up your social media profile lately? Please feel free to share your favorite tips tools and ideas with us. As I always say, “we can all learn from each other”. You can connect with today’s featured authors on Google+ at: Adam Connell, Stuart Davidson, Ezra Scott, Ileane Smith, Louise Meyers, Rebekah Radice and me. Also, you can follow Brian Smith on Twitter @ListenBrian. Hi SherrylThis article gave me some of the best Social Media tips. Triberr is one of the best way to get traffic and I’m making some great connections there as well. What great information you have compiled for us.Have a great day Sherryl! I’m a huge fan of Triberr. It’s important to join tribes that are a good fit but once you do, it can be a very effective way of widening your “reach”. When I first joined, I was in the wrong tribes. I started by being in tribes with people who I was already sharing with but many of them weren’t in the niche that my readers were interested in. Now, I am in tribes where the content is the right fit for me. I’ve also developed relationships with many of the members and I can rely upon them producing quality content. It makes sharing easy and the scheduling function is a huge time saver. Thanks so much for joining the conversation. I appreciate it. Nowadays social media is very important if you want to get extra and consistent traffic to your blog or website. I agree with you that social media is so important. Building relationships and a community of bloggers who support you and help to spread the word is much more dependable than relying on being found in the search engines. Thanks for dropping by and adding your thoughts to the conversation. I apologize for taking so long to reply to you. I hope you had a great weekend. This is simply a ton of solid resources that you offer! Thank you so much! I’m familiar with a few of the resources you’ve showcased, but thanks for opening my eyes even further, to the vast untapped pro-active online marketing potential. It’s like you’ve secretly handed everyone the keys to the online marketing possibilities vault!LOL! And the Pluggio plugin in seems like a fantastic tool, to help provide the means of being incredibly social online and for further developing rock solid future online relationships! I was not previously familiar with it. This was my first but not last visit to your incredibly resource filled site Sherryl! Thank you! This one article really offers a world of real do-able possibilities! Mark recently posted..So What Can You Learn About Your Own Success Mindset Development By Studying Baby Monkeys In Africa? I’m glad you found my post helpful. Thanks for taking the time to weigh in on this and for sharing it on Twitter. I just finished catching up my thank you’s and scheduling tweets for today. While I was on Twitter, I: #1) checked out your profile, #2) recognized a few names of influential bloggers who were following you, #3) followed you and #4)RT’d for you. Then, I come here and see that you left this wonderful comment for me! I promise to be by your blog soon. I need to start curating content for my next #FridayFinds post. (Those take a while to research and write.) So, I better get started! Thanks again and it’s great to connect with you. I have also been using Triberr lately. BUt I do not find any hope. I just don’t understand how to find people and get them to my tribe. Or maybe join a tribe as a contributor. I hope the video from Illeane will help. Thanks a lot for all the share. Thanks for the kind words. I’m glad that you found my post helpful. I’ll have to check out SocialBro and Reginald’s post. Finding the “right” tribes to join on Triberr is key. When I first joined, I made the mistake of creating a tribe that included people I was already sharing for. That did not work well for me at all. Then, I was invited to join a tribe that was a perfect fit for my target audience. (The first few tribes that I was a member of had been too diverse.) The more that I shared, the more invitations I received to join other tribes. I am going to be creating a new tribe too. I’ll send you an invitation when I do. Meanwhile, are you in one of Reginald’s tribes? Thank you so much for the guidance and help. I know that Triberr is one of the most flourishing marketing platforms. I would love to be part of a great Tribe. If you have one for me, do suggest please and send me an invitation. And, no I am not yet a part of Reginald’s Tribe. oh Wow! I always wondered that someone will be able to write about improving presence on Social Media because you have to work a bit hard to make an active presence of yours on social media. I read the whole article and it was just Boom! Thanks for sharing your valuable experiences with us Sherryl. While having an effective online presence for business growth is not a new concept, it is true that many businesses have barely begun to understand what magic regular business marketing activities performed on social media can work for them. I agree that Back Tweets are one of the most effective social media monitoring tools currently in use. I think this is mainly because it helps a user have a fair idea of what internet users or a special category of his/her target audience is showing interest in. This is where the process of taking business from such groups of people starts from. First, I want to apologize for not replying to you earlier than this. Sometimes, I just miss comments when they’re posted. Thank you for mentioning Back Tweets. To be honest, when I first wrote this post, I didn’t explore every piece of info. So, I just went to BackTweets.com and checked it out. The first thing I thought of is how helpful this could be when I’m curating content! Thanks so much for taking the time to add your insight to the conversation. Thanks for letting me know that you found my share helpful. LinkedIn is one of my favorite social networks. I use it primarily to build relationships. On the other hand, Twitter is one of my top sources of referral traffic. I experimented with tweeting less often and I found that not only did I lose traffic from Twitter but I also lost traffic from other referral sources as well. Thanks for sharing nice article on Social Media. I am hearing about Pluggio first time. So, I hope this can work fine for me. I’d definitely add Pluggio to my now fairly limited arsenal of Twitter tools. If you really start to trust the content via the targeted approach in Google Alerts, you can opt to have the alerts delivered in an RSS feed and then pump them automatically into Twitter via Twitterfeed. People are amazed at how fast I get info out to them – this is one of my “magic tricks”. Sagar nandwani recently posted..How to Hire Someone with Potential for Business Management ? Thanks for the tip about having Google Alerts delivered in an RSS feed and then tweeted through Twitterfeed. It never occurred to me to do that. I’m not sure if that’s something that I would want/need to do though. Is that something that you do? Social media plays a great role in internet marketing. Now a days many of the bloggers and website owners are over social media to market or advertise your business to a wide range of audience. Initially I have never used any tools but now slowly started using them . Most of the tools you have mentioned are new to me . But I have learned more about them and moreover was able to collect a lot of information ad tips regarding social media marketing. I would surely try all the tools and plugins for my business. Thanks so much for taking the time to let me know that your found my article helpful. I appreciate that. It’s very helpful to know what sort of information other bloggers want to know more about. So far, I’m focusing this series on SEO, social media and WordPress . Good luck finding the right combination of tools that meet your needs. I had read Adam’s great post before. So much helpful info packed into one post! I’ll have to browse your archives and find some more goodies! Somehow, I missed Adam’s post when he first published it but I saw his tweets and checked it out. I’m so glad I did. That post is packed! I am having a great day. Thank you. I hope you’re having one too. I see you’ve left several comments. I appreciate that. I’ll be by to check out your blog soon. Sorry to hear you’ve had CommentLuv issues while trying to comment on my blog. Do you know if the problem is on all CommentLuv blogs, or just mine? FYI – That’s not my IP address. (It may be yours.) Out of curiosity, did you upgrade CL to 3.0.6.3? No, that isn’t my IP address either. I don’t THINK it’s an issue with my blog or plugin, simply because others have been able to leave comments today while using CommentLuv. And I did a test comment (signed out as administrator and tried to use the URL of my personal blog) and it worked fine. I don’t have the premium CL plugin, but I do have the latest of the free version: v2.93.5. If you want to try leaving me your comment with CommentLuv unchecked, I can add a link to your latest post to the end of your comment, if you like? Hope this gets sorted! Could you let me know if you discover issues with other blogs? Or if you have zero trouble on other blogs? That is weird. I’ll be doing a little work from my laptop later tonight. Even tho, I’ve cleared my cache and deleted the cookie to your site on this computer, I thought I would give it one more try. If that doesn’t work, I’ll email it to you. I’ll try leaving a comment on someone else’s blog too. As you know, I have been out of the loop for several months working on other things. Everything has changed so much and I feel like the new boy all over again. I haven’t heard of half of the tools and plugins you mention above. I know you have your hands full with your project. Your new site looks great! We haven’t chatted in a while but it looks like you have made a lot of progress! I see that you’re tweeting looking for UK tradesmen. I’ll pop over occasionally and RT some to help spread the word. I’m glad you like my tips! It’s not easy for any of us to keep up with all this. I’ve been writing longer posts and that’s been cutting into my to to make the rounds and comment as much as I used to. That’s not good! Other than not having enough time, 🙂 all’s well here. Thanks. So much to learn, so little time! I’ll be checking out some of these links. One nifty tip for Facebook sharers – if you already using Yoast SEO, there is a section on each post called Social. Within it, there is a field for Facebook in which you can add an image 600px wide or so that will be used on Facebook. A good way to get a large image on FB! Thanks for the tip about Yoast’s plugin having a section called Social! I don’t use that plugin (because it conflicts with the SEO that’s built into my theme) but it sounds like it’s just getting better. Doesn’t he have something to handle Twitter cards in his plugin too? There is so much to learn! I need to drop by your blog soon! I hope you have a great week. Yes, he also handles Twitter cards in the SEO plugin. Thanks Leora. That’s good to know. Setting up Twitter cards can be a nightmare. Social media plays a great role in the improvement of any business, blog etc. But the problem is to make strategies for that. I am really confused to do so. As you have mentioned above about the benefits of Pluggio, Is it that much effective? May be it will help me improve my social media presence. Thanks for making me aware about it. Ravi Chahar recently posted..How To use CommentLuv Premium WordPress Plugin For Free? I’m glad you like this series! It’s a good way for me to discover new bloggers to follow and connect with too. I’m just getting to know Pluggio myself. I know a lot of bloggers love HootSuite but I just never clicked with it. Pluggio seems a lot simpler to use and I liked the videos that I clicked on. I had a couple of questions and the videos seem very easy to follow. Good luck with it if you try it! Thanks for taking the time to add your thoughts here and you have a great week! Did I miss one of Adam’s posts? I think I did and I looked to see that it was from last May so shame on me. He’s always sharing such great content that he blows my mind on a regular basis. You’re right though, people don’t want to miss what he has to say. I had heard of NetVibes and Topsy but not the others. I watched the video on Pluggio and you’re right, it looks pretty interesting. Might have to take a look at that one. I’m really not that interested in LinkedIn but I love Ileane’s share about Triberr. It’s one of my favorite platforms and she definitely has done a great job of building up her tribes. I’ll have to check out Louise’s post and I’ve already got Rebekah’s loaded up to read. I’m behind with that too but what else is new right! Don’t feel badly Adrienne. I missed Adam’s post the first time around too. He re-shared it last week and as soon as I started reading it, I knew that I had to include it in this week’s Friday Finds. I love LinkedIn. It’s where the majority of my clients have found me. Ileane’s video resonated with me because I’ve had my ups and downs with Triberr. Louise’s post surprised me. She’s another blogger who I wasn’t really familiar with. I had connected with her on Google+ and Twitter but I hadn’t spent time on her blog. She has some really useful stuff there. I’m a fan of Rebekah as well and her post serves as a good reminder even for the most seasoned of bloggers. Thanks for dropping by and weighing in on this. I’m glad you find this series interesting. Have a great week! I can see why these posts would take a long time to research and write, Sheryl. What great information you have compiled for us. Headed to check out Pluggio now! Thanks for letting me know that you appreciate the time that I take to research this series. On the positive side, curating content like this does make it easier to write a (nearly) 1500+ word post! Thanks so much for the links to my posts. Happy to be included with these awesome bloggers! I owe you an apology though. Somehow, I missed adding you in my closing (where I mention each of the featured authors and link to their Google+ page). I just added you! So, hopefully, you will see a spike of traffic to your pages. You’ve become my “go-to” source for new social media tools. Thanks so much for your research. I definitely will add Pluggio to my now fairly limited arsenal of Twitter tools. I’m torn about Triberr. I’ve joined, quit, joined and quit again because of the time required to be active and make it work for me. But the fundamental question I keep asking myself about Triberr, BuzzFeed and other communities that promote each other’s content, is to what purpose am I trying to generate more traffic? I don’t sell products or services online. Of course, my hope is that new visitors to my blog will hire me for projects. But that has only happened on LinkedIn. I’m getting business the old-fashioned way through referrals and my professional networks. So shouldn’t I be spending my time there? I’m not saying I have all the answers but this is an important conversation I think we all need to have with ourselves. Thanks for letting me know I’m your “go-to” source for new social media tools! I appreciate your saying that. I think I’m beginning to get the “hang” of curating content for this series. You raise concerns that I’ve mulled over myself. In the beginning, I start my own Triberr tribes and while I never deleted my account, it took me a while to develop a strategy for using it. As it is, I don’t spend a lot of time on Triberr. I usually check it in the morning and then again in the evening. Some days, I’ll only check it once. I’ll either fill my “Buffer” or schedule shares. Then, I’m done with it. I spend maybe 15-minutes at a time. My strategy for participating in communities like Triberr and BizSugar is to build awareness of my brand especially amongst influencers. Most of the tribes that I’m a member of have some very influential and popular bloggers. That brings value to me in two ways. One value is that Triberr helps me to build relationships. When members see that I’ve shared their content, they’re more apt to share mine. The second way Triberr adds value is by making me aware of great content that I can curate and learn from. I hear you about not selling products or services. (Although I still intend to create products, I haven’t yet.) I believe there’s value in building awareness and driving traffic to our sites because both you and I are creating (hopefully marketable) brands. My brand is Keep Up With the Web/(KeepUpWeb) and yours is Write, Speak, Sell. Down the road, (should we decide to pursue other paths), that added traffic and social recognition should add value (at the very least) to our domain name. (This is why I built this site under this domain as opposed to SherrylPerry.com.) Anyways, that’s basically my thinking. This is an important conversation and definitely could (at the very least) be a blog post! As always, thanks for dropping by and for weighing in on this. You always make me think! 🙂 I’d be very interested in hearing what others think about this. Hi Sherryl! This post is packed with some of the best Social Media tips around. Thanks so much for including my YouTube video on Triberr. That makes my day! Triberr is responsible for lot of my traffic and I’m making some great connections there as well! Rebekah always has such useful blog posts and so does Adam. I commented on Stuart’s post and he and I had a nice little chat about monitoring tools. I’ll stop by and check out the the other posts you shared asap. Have a great day Sherryl! You’re very welcome. I spotted your Triberr video in my Twitter stream and (as I mentioned in my post), even though you published it a while back, it’s an important message. I’ve discovered so much great content lately. A lot of bloggers seem to be stepping up their game this year! One of the benefits of writing this series is that I discover bloggers who I’m not already familiar with. For example, I discovered Stuart, Ezra and Brian while I was writing this week’s post. You have a great day too Ileane. Thanks for droping by and joining the conversation. Hi Sherryl, I’m loving your FridayFinds – I always find a few posts that I’ve missed earlier on in the week. Also, thanks so much for the mention, I really appreciate it! Thanks! These posts are time consuming to write but it’s a great way to find new bloggers to follow. While I regularly follow you, Ileane and Rebekah, I discovered Stuart, Ezra and Brian while curating content. You know I’ll be keeping an eye out for other great content from them. It’s always nice to see you here!